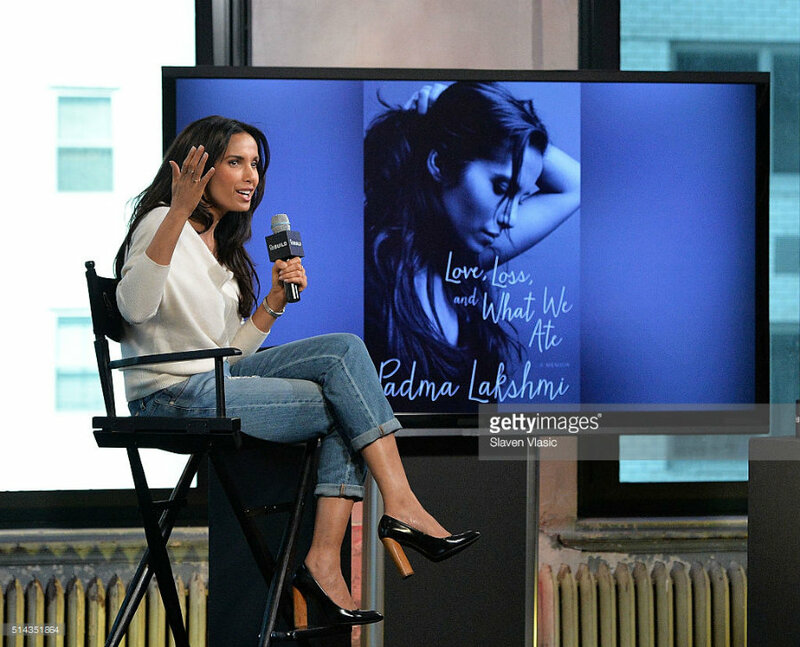 Seattle – Padma Lakshmi, the cookbook author and Top Chef Judge, presented her new book “Love, Loss, and What We Ate” on Tuesday, which is more than just a guide to healthy eating. It is a personal memoir that brings together different stories from her childhood, her love affairs and her work through the lens of culinary experiences. “For the last 10 years, people have seen me … in a very prestigious but very formatted show, playing a very specific role that is appropriate to making that show successful. It is a really thin sliver of my life,” she said. The book was originally meant to be a collection full of her healthful eating recipes, but along the way it became a much more personal story. It does include several recipes such as the tangy tamarind chutney and the yogurt rice that she calls “the ultimate South Indian comfort food”. But not just to show a lifestyle form of eating, the recipes she shares narrates her struggles through life as the ginger chutney she says helped raise her spirits following her divorce from Salman Rushdie. Moreover, the book is the story of how an Indian immigrant connected her birth country and her adopted homes. How a scarred teenager grew to become a TV star trough food. In her book, Lakshmi writes about how she felt as a teenager immigrant in America. She narrates how people would associate her skin color with third world slums, malaria and “the fragrant foods” of her culture. To feel more included into the society she was living then, she divided herself into two people: one who felt connected to her roots and one who wanted to look more American. That is why Lakshmi temporarily changed her name from Padma to Angelique for her four years of high school, even though she ate rice and curry and talked to her mother in a different language. The Top Chef Judge said that even though she didn’t feel any different or any less American, people in her class didn’t feel she was as American. The book also talks about Lakshmi love stories, especially her relationship with Salman Rushdie and how food helped her raise her spirit after their divorce. After the divorce in 2007, the top chef host moved into the Surrey Hotel in New York City. There, she cooked Kumquat and Ginger Chutney using the kumquats and curry leaves her mother sent in a care package to make this dish. The author shares the recipe as she narrates her story. She also talked about different relationships she had after her divorce, including Adam Dell, a venture capitalist, and Theodore J. Forstmann, a much older financier and philanthropist who she said taught her unconditional love. Lakshmi shares the story after the paternity battles she went through with Dell in 2009, again which she could get through thanks to food.